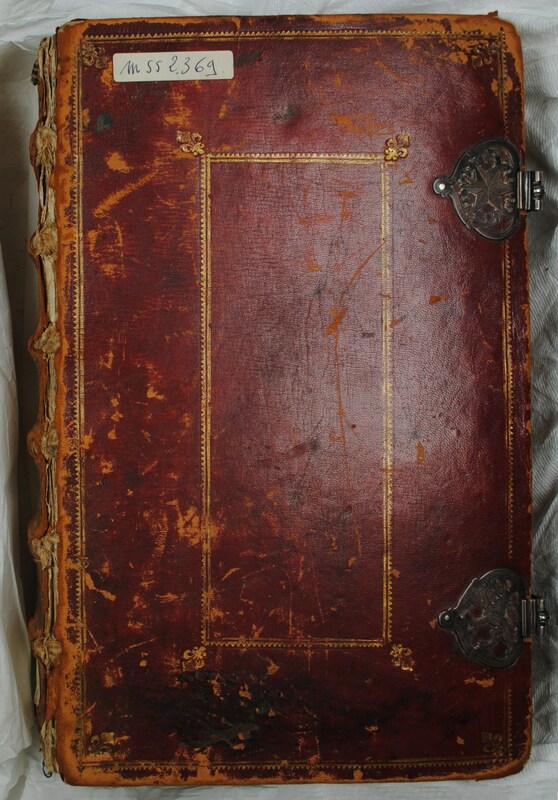 The subject of my first master’s thesis was about the study of an 18th century manuscript from the University of Liège (Belgium). 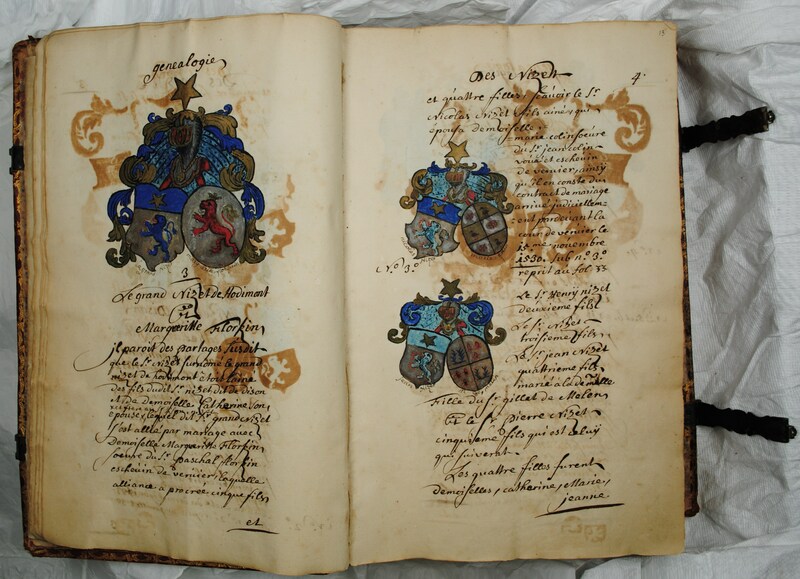 The Nizet manuscript is a heraldic book which covers the genealogy from four families from Verviers (Belgium): the Nizet, Graffard, Hacraÿ and Laurentÿ families. 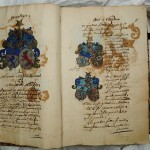 Most of the pages of the book exhibited strikethrough, and the purpose of this study was to achieve a better understanding of the materials and degradation of the manuscript. Strikethrough was visible on the painted heraldry blazons due to the oxidation of the paper substrate and the unstable metallic pigments used for the silver and gold painted decorations. 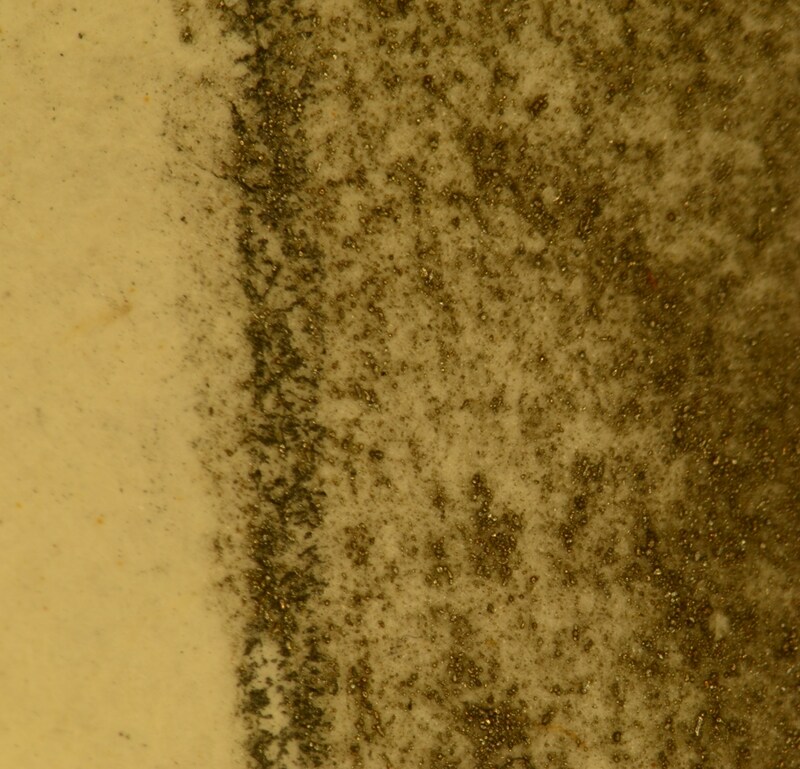 Deterioration of the gold coloured pigment showed a greenish colour, whereas a brownish colour replaced the silver. 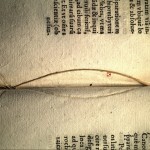 The paper support was also damaged, probably due to the use of iron-gall ink. 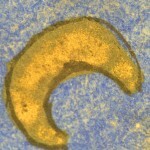 A preliminary study was carried out by the Centre Européen d’Archéométrie (I.P.N.A.S.) Université de Liège in collaboration with Mélanie Machowski. UV-visible spectroscopy, optical microscopy, colorimetric analysis, PIXE analysis and X-ray fluorescence were carried out on the manuscript. The results enabled to understand the composition of the gold and silver coloured pigments: the gold was composed of a copper and zinc alloy (brass) and the silver was composed of a tin alloy. Based on these results, I studied the methods and techniques of book illumination in the 18th century. Historical resources yielded that three binders were typically used for this purpose: vegetable gum, animal glue and egg white. 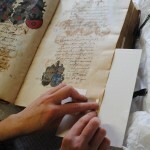 The decision was made to concentrate the study on the silver colour pigment only, as these paint layers caused the most significant damage on the manuscript. The mechanism for degradation of these silver alloys had also been less studied than the one of the gold coloured pigments, which was probably due to the corrosion of copper. 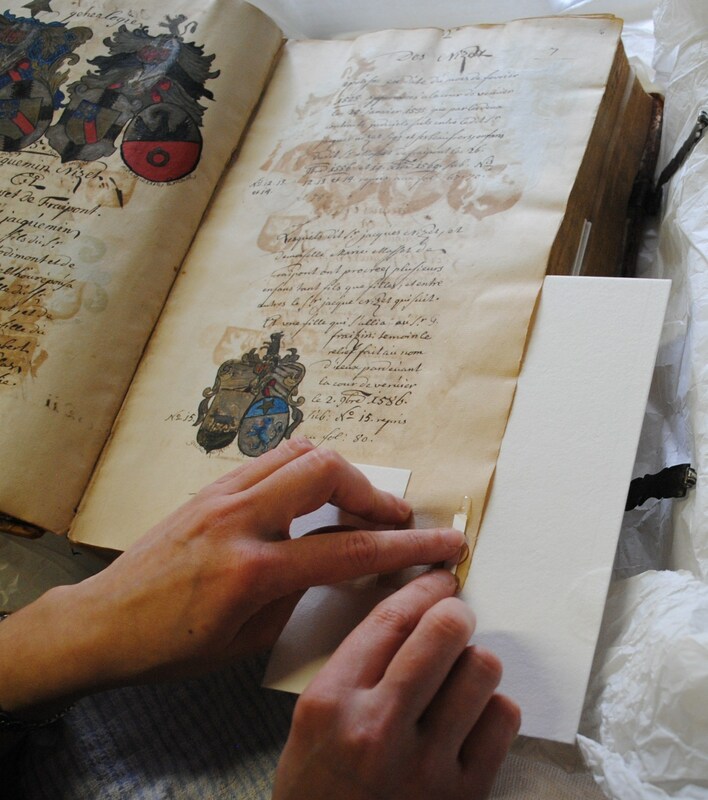 Samples were therefore created by mixing tin powder, the main element of the silver pigment in the manuscript, in three binders: Arabic gum, animal glue and egg white. Different samples were created with various additives (sugar, ox gall and vinegar) depending on the recipe. The samples were applied to three different supports: glass slides, commercial paper and handmade paper. The sample creation process and the visual results have led to some conclusions about the binder used, as Arabic gum was the easiest to apply due to its exceptional workability. Accelerated ageing tests were afterwards completed over 288 hours in a climatic chamber (at 80° C and 65% humidity). 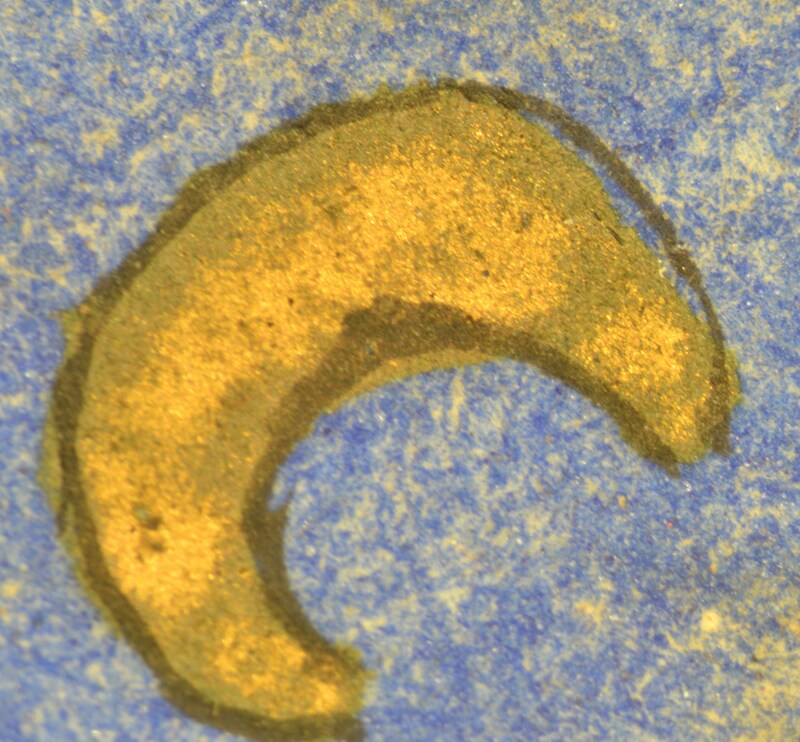 Optical microscopy, spectrometry and Raman microspectroscopy analysis were then carried out on the samples. 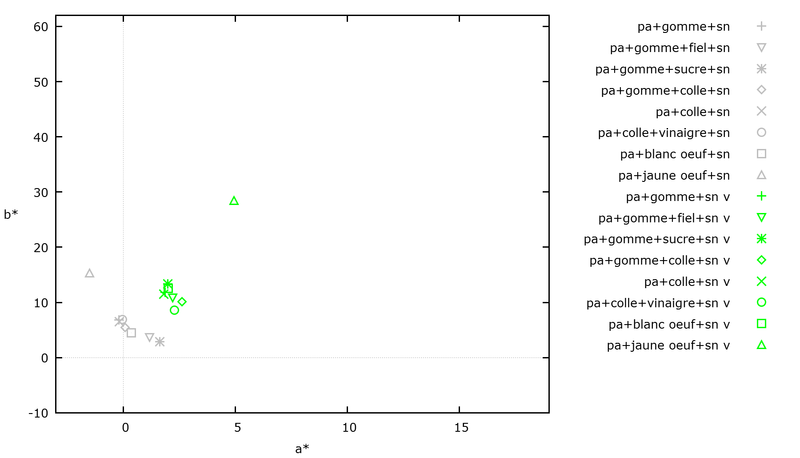 Optical microscopy showed that the paper support and the binders did not significantly react. 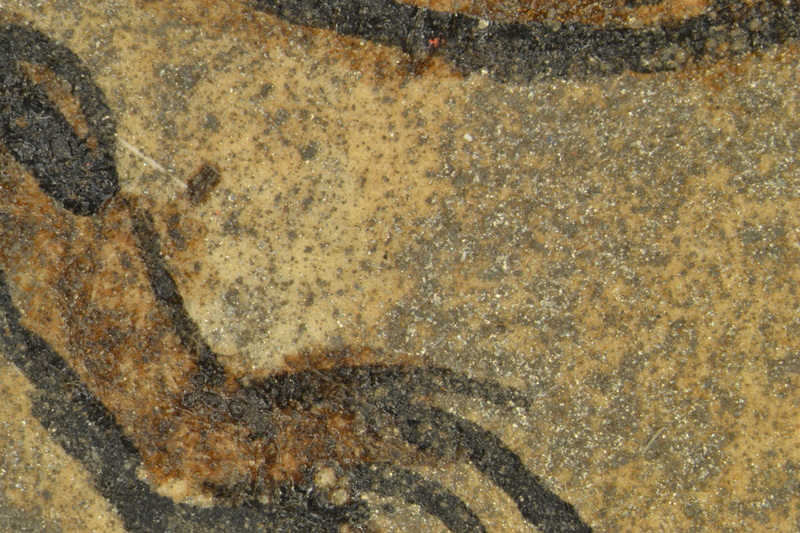 The grey-brown colouration visible on the samples was therefore most likely due to the tin alloy degradation and the creation of combined black and white tin oxides. Samples made with Arabic gum were also the most degraded. 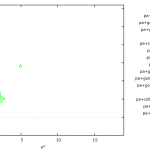 Colorimetric analysis showed a colour change in all samples and a loss of reflection. Raman microspectroscopy analysis on the Arabic gum samples confirmed that the binder was not a predominant factor of ageing. Tin was the most affected element in the samples, and SnO and SnO2 oxidation products were formed. 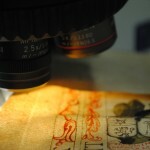 The results of the research allowed the assumption that the binder used by the Nizet manuscript’s illuminator was based on a vegetable gum. Meanwhile, tin would be primarily responsible for the degradation of the silver-coloured paint layers. 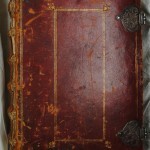 Front cover of the manuscript. 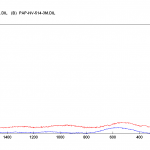 Degradation of the gold and silver colour pigments. pH testing of the paper support. 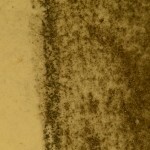 Greenish degradation of the gold coloured pigment. 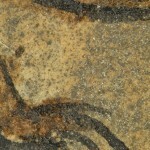 Brownish degradation of the silver coloured pigment and its binder. 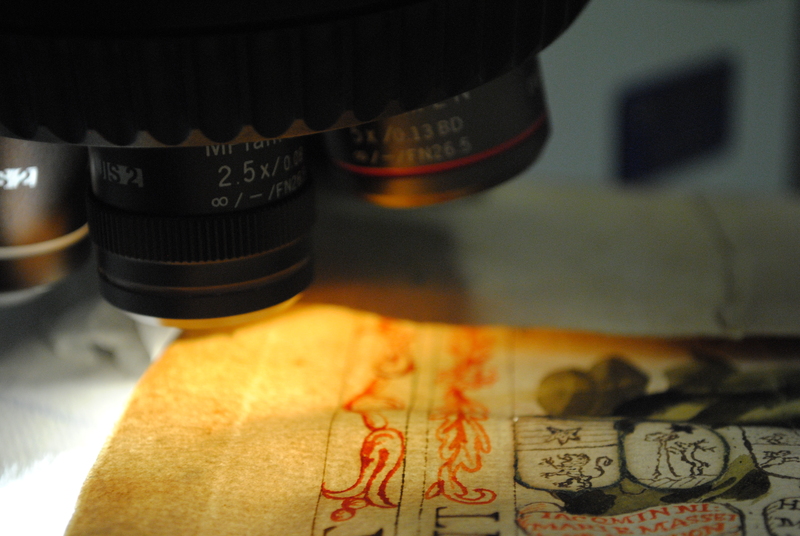 Microscopy observation of the manuscript. Aged sample (288H) : Arabic gum + Sn powder. 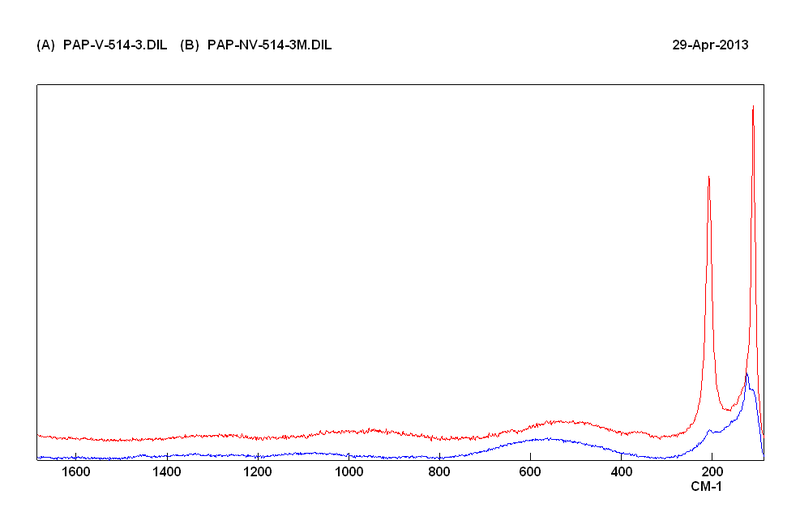 Colourimetry spectroscopy (a*, b*) of non-aged and aged paper samples with tin powder. Aged sample of Arabic gum + Sn powder (red) – Crystallized SnO (blue).